Introducing the new Hostile Balance Bike, AKA ‘The Sasquatch’, to our knowledge the only titanium balance bike in the world. The bike has been designed and built to the highest possible standards. The frame and forks are hand welded 3AL / 2.5V titanium with a super low stand over height for little legs and a high front end for stability and confidence. 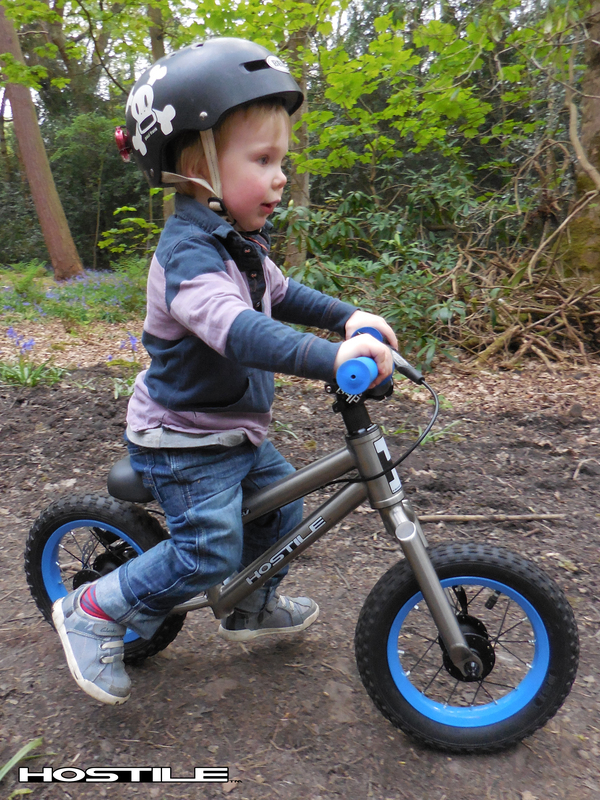 The bike is kitted out with a rear hydraulic disc brake with a custom 120mm rotor and caliper mount for all weather braking even with little hands. The bike also features titanium bolts and fixings, carbon fibre headset spacers, a sealed bearing headset, Shimano hubs and off- road tyres. Is this the best balance bike in the world? We think so.